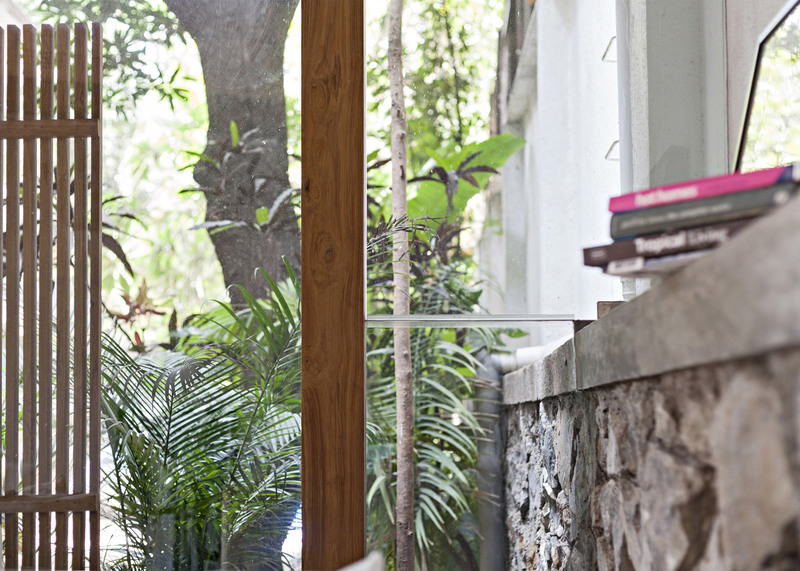 This garden pavilion by Abraham John Architects provides a lounge for a film production studio in Mumbai, featuring a glazed ceiling and walls to offer views of a jackfruit tree (+ slideshow). 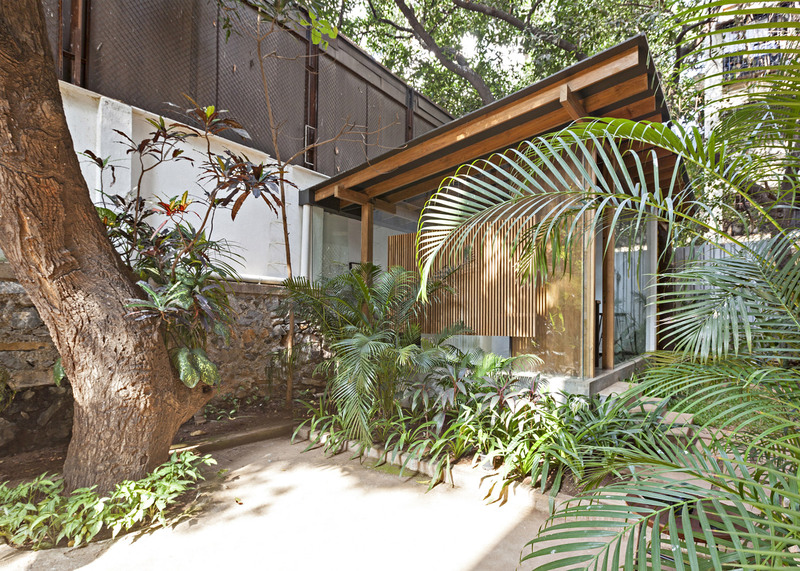 The local studio converted a pump room above an underground water tank to create the lounge, which provides an additional meeting space for the company based in the Khar West suburb. An existing stone wall forms the back of the pavilion, while the walls and roof are made primarily of glass. 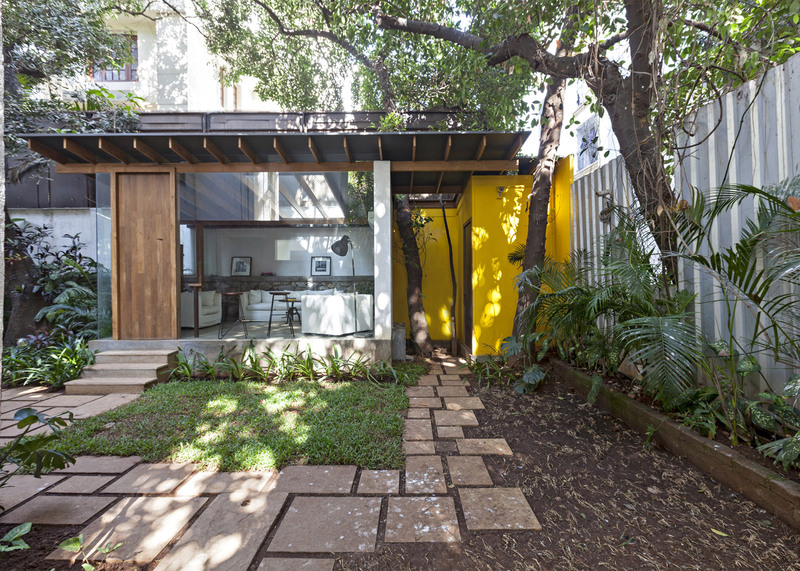 The aim was to offer views of the jackfruit tree overhead and into the surrounding garden. 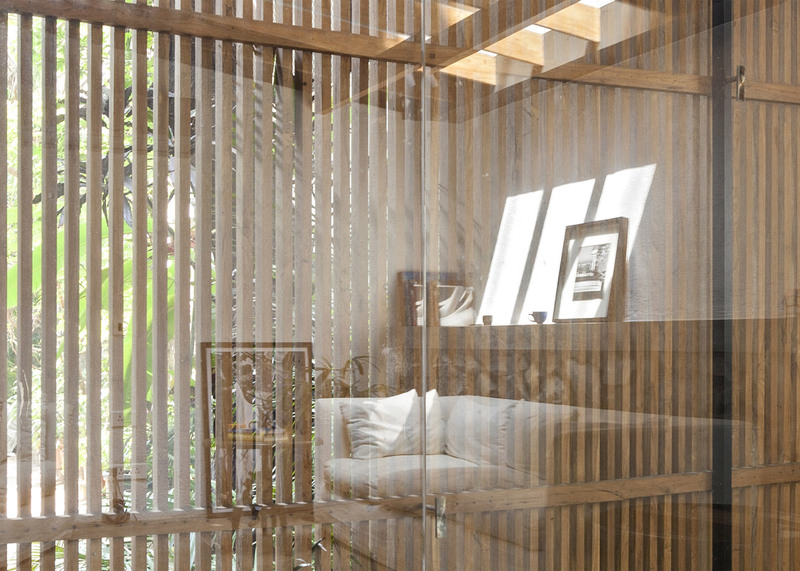 "Glass became the primary material for construction, as the pavilion was sited amidst lush tropical greenery," said the studio. 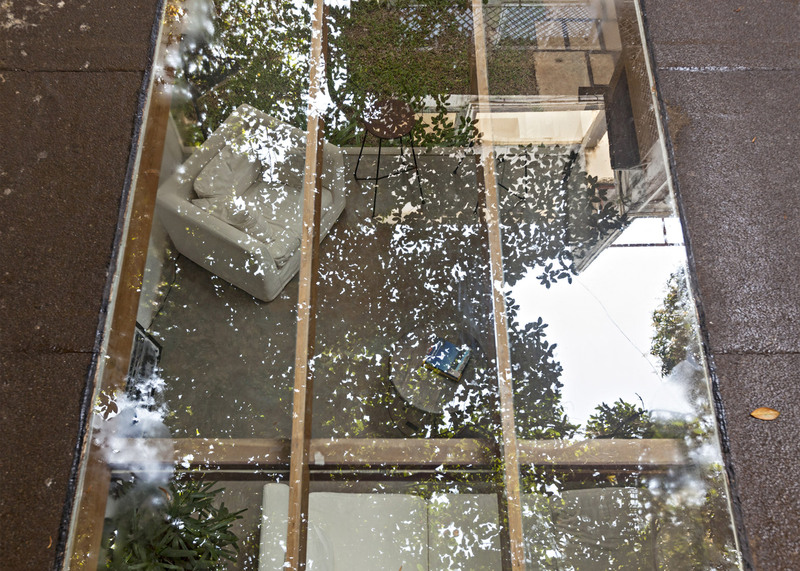 "Glass not only formed the walls but also the roof in the form of a strategically placed skylight, opening up the view of a large jackfruit tree above, and blurring the boundaries between the inside and the outside." 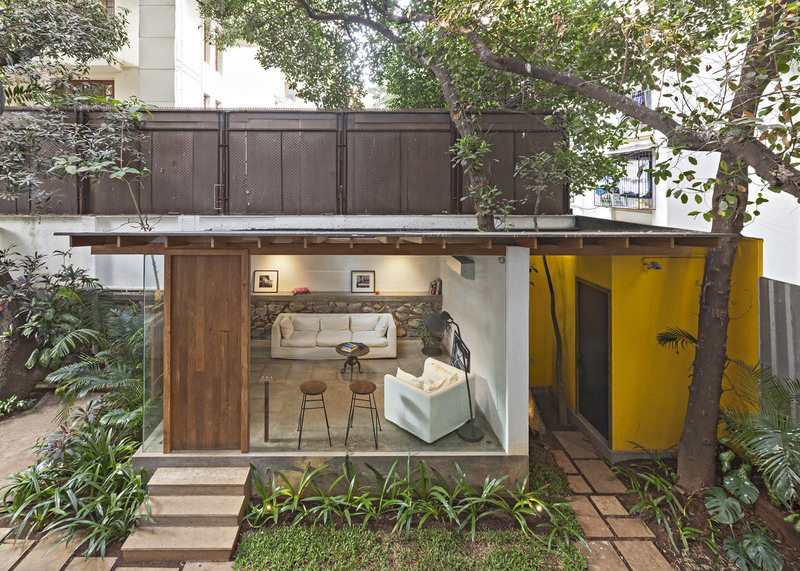 A wooden door frame and rafters form part of the structural framework for the 32.5-square-metre space. 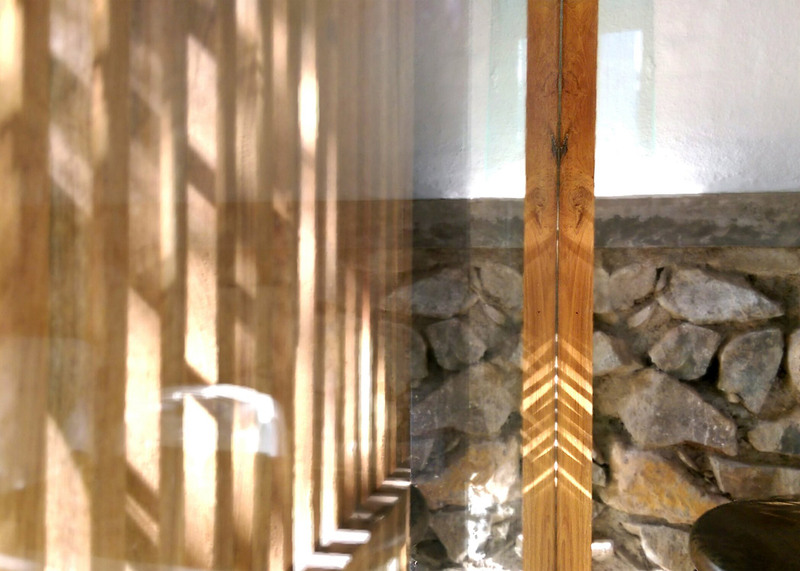 These wooden elements, as well as the rear stone wall, are left exposed inside the lounge. "The architecture of the pavilion is a minimalist expression of structure, space and materiality," said the architects. The space is finished with white sofas and metal-framed stools, while a pair of black and white prints are propped up on a ledge created by the stone wall. 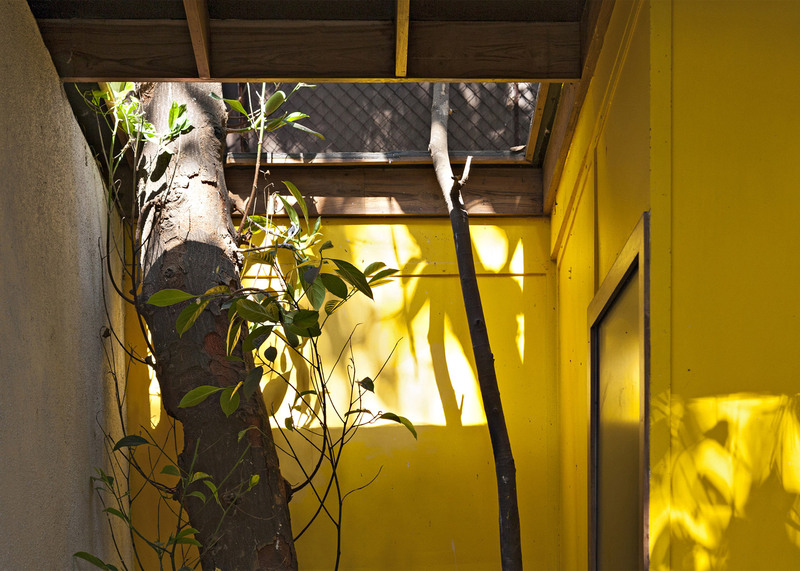 A small yellow block to one side of the lounge is used as a store room. A small gap is left between the two parts of the structure to leave room for the trunk of the jackfruit tree. 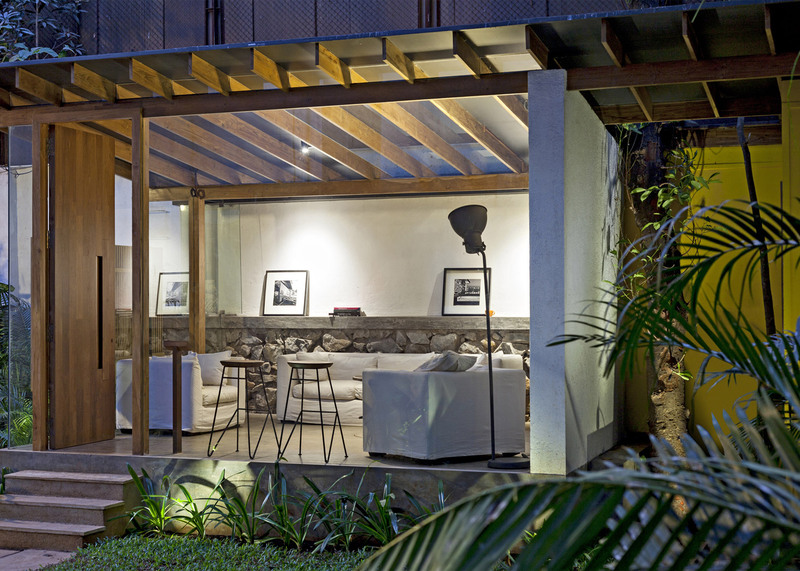 With increasing pressure on inner city land, garden pavilions are becoming an increasingly popular as workshops or extensions to living space – a trend that is particularly catching on in Brooklyn, as real-estate prices in New York City continue to soar. Photography is by Alan Abraham.